TMC is looking for 3-5 teachers for this summer’s outreach English conversation classes, July 23-27, with teacher arrival in Tokyo on July 20 and departure on July 31. 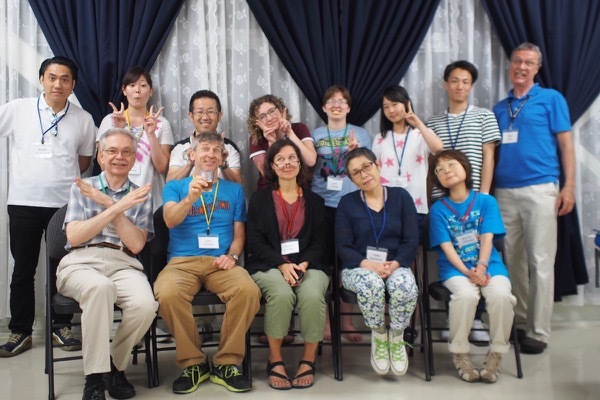 This summer ministry connects TMC with new contacts for ongoing outreach to Japanese people during the rest of the year. Summer students range in age from three years old (the beginning of pre-school and kindergarten in Japan) through adults. We expect about twenty students for the five days of teaching. Some class preparation, including gathering resources for teaching, will be done before teachers arrive. But final preparation will take place during orientation on Saturday July 21. Lesson plans can be further adjusted after the classes begin. Please contact Dale if you are interested! See CATEGORIES or annual ARCHIVES for other posts. TMC Japanese Sunday School Launched!